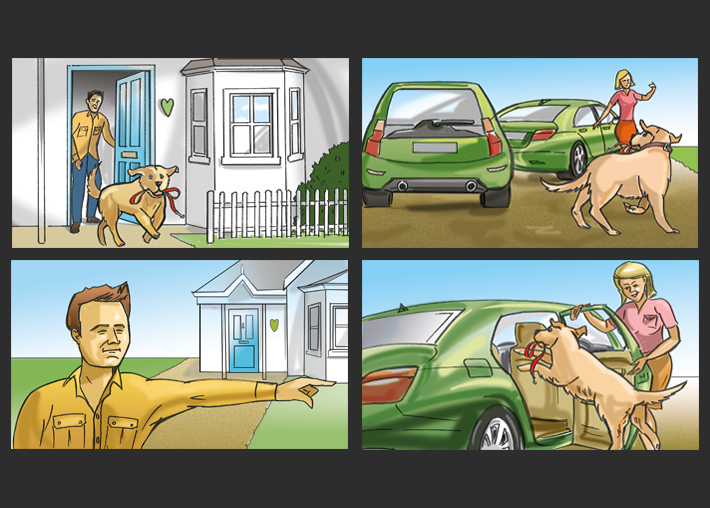 Storyboard Artist London - Storyboard artist London, Lee Playle, experienced storyboard artist for advertising, TV, film and pitches. Welcome to Scamp Factory, the place to bring your big ideas to life. 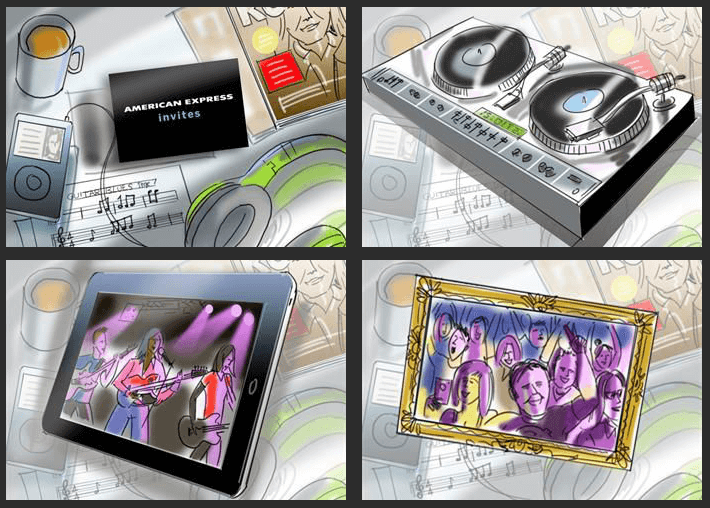 Hello, I’m Lee Playle, a professional freelance concept visualiser and storyboard artist with 25 years experience at top London advertising agencies and design studios, I help win pitches, create powerful ad campaigns, wow factor presentations and create storyboards for TV, video production and animation. 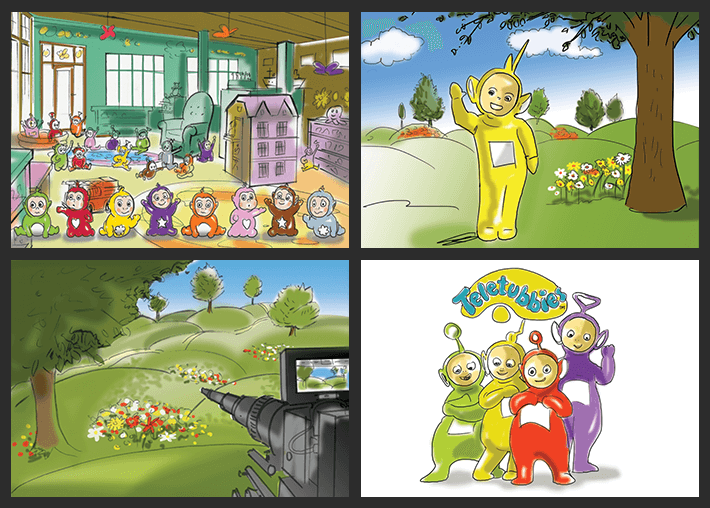 Using traditional and digital storyboard artist skills, I work on all types of creative projects. From the last minute jobs to the tightest of deadlines, take a look at my work for American Express, Tilda, British Gas and Kat Maconie - and get in touch. Promotional video with the invitation rotating to form the next image. 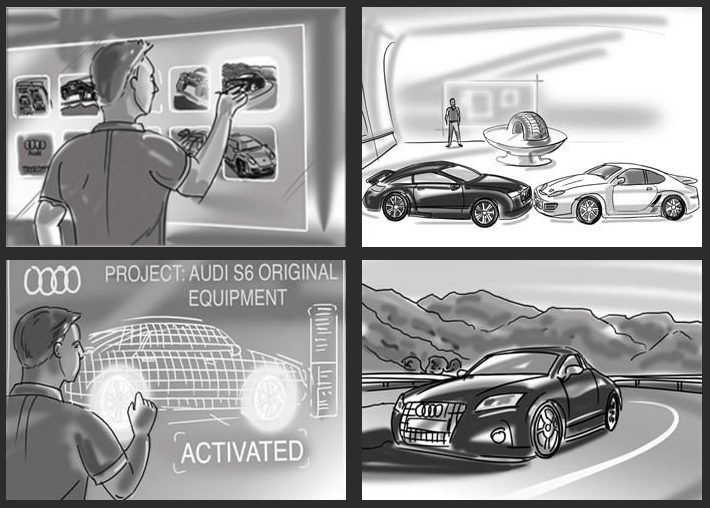 Online video featuring Audi cars within hi tec concept. 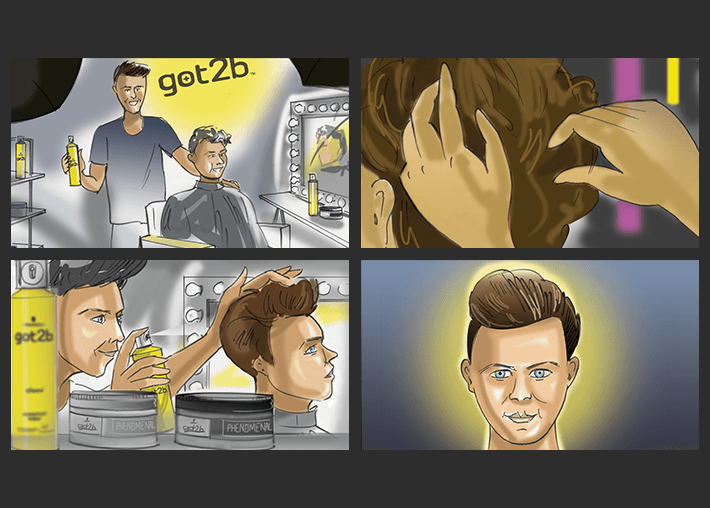 Lee Playle or one of his talented storyboard artists will carefully listen to all of your requirements then translate your concepts or vision into a stunning storyboard solution. 1. You provide a brief descriptor for a each frame. 2. We run through each frame on the phone over a cup of tea. 3. 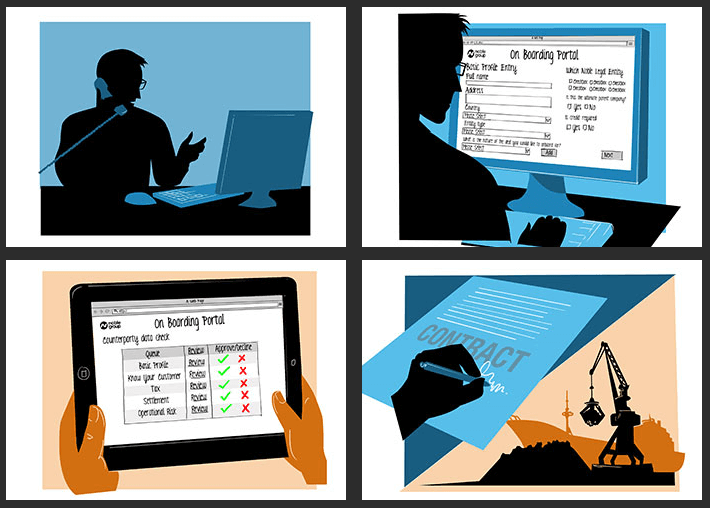 Our artist draws up the storyboard frames and emails them to you. When necessary we can also provide an initial pencil frame, so you can check the content and know that when finished, the storyboard will be exactly how you imagined it. We can produce various styles of storyboard frame and are happy to work traditionally with pencil and pen or totally digital. 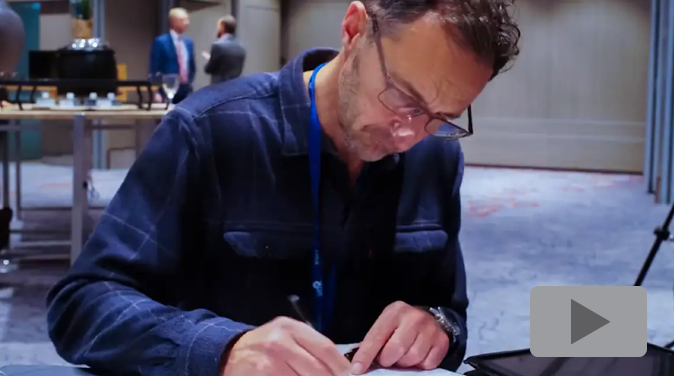 We are a dedicated group of storyboard artists, London and provincially based that can brilliantly interpret your script or brief while paying attention to specific details of branding and theme throughout the storyboard frames. The majority of storyboard projects we do are in simple black and white line or tonal form, however our artists can produce full colour work to enhance your storyboard project or presentation. Our range of clients span from London and the South East all the way up to Edinburgh. We mainly take briefs over the phone and via email. When required we can come into your office or studio and take a storyboard brief face to face, this is usually for larger projects that involve several storyboards or extensive amounts of frames. 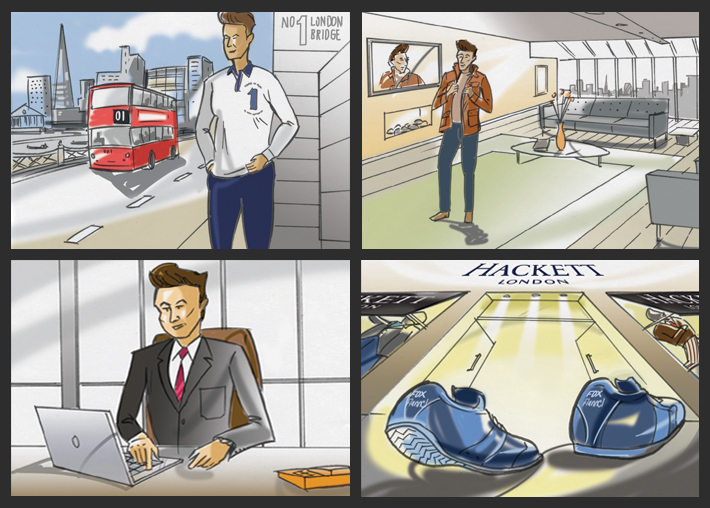 You will find that our storyboard artist, London service is very friendly, fast and flexible allowing for those last minute tweaks or amends in time for your storyboard presentation or TV/video production.